There was nothing better than a big box of crayons and some paper. Colors are my passion. I love them all and like to be surrounded by beautiful colors. One day while looking through a fashion magazine I saw a beautiful face and thought “I want to draw that”…I found a pencil and some paper and began. By the end of that day I had drawn five or six pictures from the magazine. I bought myself some drawing pencils and a couple of instruction booklets and I was off and running. Around 2006 I discovered blogs and most specifically art blogs. I drooled over art journals and mixed media art but didn’t have a clue how to get started. I knew I could draw but this was a whole different thing. I started my own blog (so I could comment on others) and began asking questions. Everyone was very nice and so helpful and soon I was taking online classes. That was the door that opened it all for me. I knew I could do art. I just needed to learn some techniques and learn about products. Now after about six years of blogging, taking classes, and learning from others I happily spend most days in my studio just splopping paint around or creating collages. I still love color. And texture is also very important. Those two things have been factors throughout most of my life. If I have color and texture I’m happy. And thank you, Teresa for providing this place to meet other late bloomers. 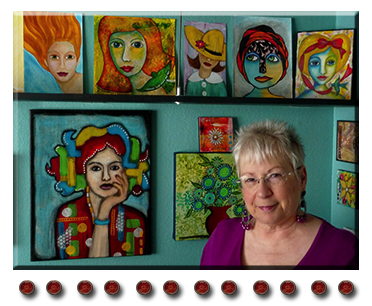 Janet - your work is so vibrant and colorful! We are soul sisters, lol. Beautiful artwork! I'm so glad you are creating!!! janet you are too cute. love the new picture. great interview. Yay Janet! I'm so glad you bloomed. I've known Janet via blogging for almost a year and a half...I love her down-to-earth personality AND her very colorful lovely work! Enjoyed reading more about her! Awesome interview!! I love your story! It's similar to mine except I never realized there was an artist within. Thank goodness we found it when we did!! inspiring for us all! its never too late to begin creating! Janet's work is wonderful . . . and I loved reading her interview. I will be visiting her site :) This is such a delightful blog to visit and such a lovely venue for creative women. Teresa - You Rock! Your artwork is so unique and beautiful! 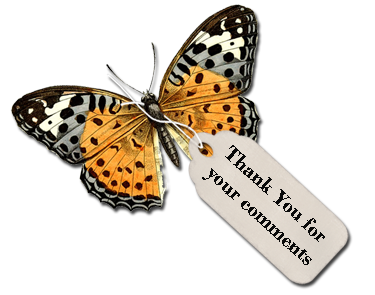 Welcome to the late bloomers group! Yay! Janet I'm so glad to see you featured on I'm a late bloomer! You know I adore your art. Your blog has been one of my must visits ever since I found it a few years ago! This is an awesome interview Janet. Love you and your art is fabulous! So nice to meet you Janet and such wonderful work. Isn't it great to finally bloom whether it's late or not! !